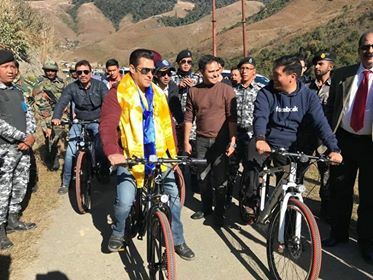 Salman Khan leaves no stone unturned to win hearts of people whenever he travels, and this time it’s the people of Arunachal Pradesh who are indebted about him for promoting their state for adventure tourism. 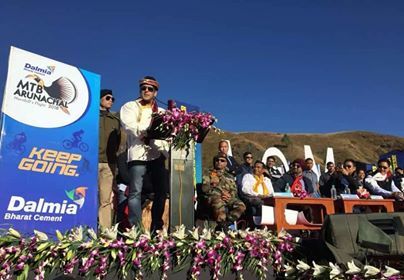 He was present at the concluding program of the known Dalmia MTB Arunachal Hornbill’s Flight 2018 and the start of the Adventure at the said place in the state. The Union minister Mr. Kiren Rijiju himself tweeted about this and expressed his happiness about the presence of Salman Khan and his efforts to promote the state. 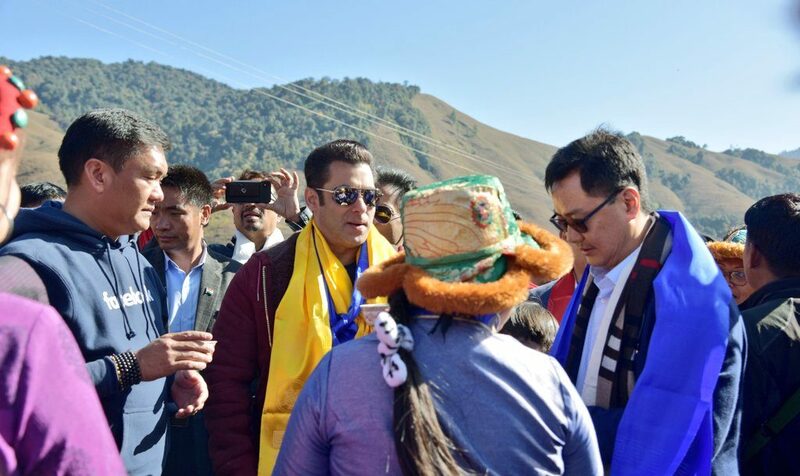 He said that the people of the state would be thankful to the star for this gesture and the love he has expressed for the people of Arunachal Pradesh. At the said event, the minister along with the star and the CM of the state too was present. Later the CM of the NDA government and Salman Khan were seen over the bicycles together. Salman Khan has arrived the same day from Punjab taking his chartered flight, and the Union Minister was himself there to receive him at the airport. Since his landing coincided with the event, he took the time to attend the concluding ceremony and start of the yearly adventure festival at Mechuka. That’s not all, Salman Khan went on to donate INR 22 Lakhs for the event, while the minister flagged off the adventure sports event in the state. 80 riders participated in the event at Mechuka, which is one of the most popular places for the adventure loving people. It is located at the height of 6000 from the sea level and is known for its natural beauty. The participating riders had come from all across the world including from the west like Germany and US as well, and the riders also include one lady rider as well. The riders have covered 650 km in a week ending at Mechuka. Salman Khan spoke on the event greeting the people and motivating the participants along with donating a handsome amount that has once again won hearts of the people present at the event.